SONG OF THE HARP BY A. D. CAMMEYER. 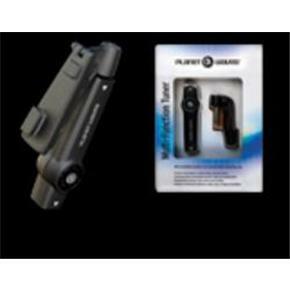 PLANET WAVES MULTI-FUNCTION CHROMATIC TUNER. 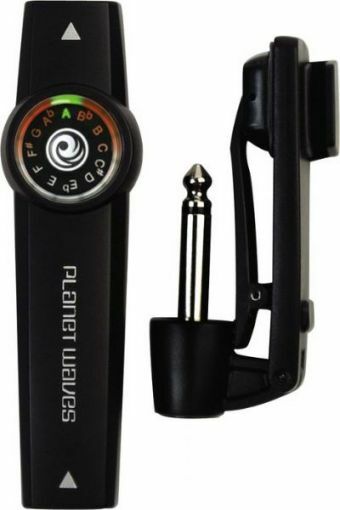 Location: /Accessories/Mandolin/PLANET WAVES MULTI-FUNCTION CHROMATIC TUNER. The versatile Planet Waves Multi-Function Chromatic Tuner is packed with options and features that allow you to accurately tune virtually any instrument, in any environment. The unique, patent-pending rotary user-interface enables the tuner to operate in sweep or strobe modes. The tuner itself includes standard 1/4" input and output jacks and a sensitive condenser microphone. The bracket/clip accessory has a built-in piezo sensor which allows you to hang the tuner on the sound hole or clip it on a bridge or headstock for use in high ambient-noise areas or for silent tuning with electric instruments. One-Button Operation - Toggle through modes easily: sweep mode, strobe mode, power off. Powers off after 4 minutes of non-use. Frequency-adjust feature allows setting - A435 thru A445. Default is A440. 1/4" input and output jacks. Bracket and clip assembly with sensitive piezo pickup. Postage UK: £2.00. Rest of World: £5.00. ROMAN MANDOLIN PICK. HAND MADE FROM BUFFALO HORN. PETITE BOLERO BY ANGY PALUMBO. MANDOLIN AND GUITAR DUET.